With the announcement of the Xperia 10 and 10 Plus, Sony debuts a new term in the smartphone industry, the super mid-range line. Much better specced than the average mid-tier phones, the Xperia 10 and 10 Plus are meant bringing Sony's premium innovations to the masses. The main premium feature that Sony promises to introduce in the most accessible way possible is the new 21:9 Wide display the offers edge-to-edge screen ratio in a thin and slender form factor. Yes, both phones boast massive 6-inch and 6.5-inch displays that feature 21:9 multi-window UI (user interface), as well as FullHD+ resolution. These wide displays enable users the ability to watch videos while texting, without having to switch between two apps, or simply launch and use two apps at the same time. In order to do that, both Xperia 10 and 10 Plus have a special option that triggers when you long press the app icon that you want to split, or launch Side sense, a new feature available in these “super mid-range” phones, which allows users to select both apps that you want to display in 21:9 multi-window. But enough about displays, so let's take a look at what Sony has done in terms of camera capabilities. First off, the Xperia 10 and 10 Plus come with dual camera setups: 13MP+5MP and 12MP+8MP. Also, the latter includes a 2X optical zoom, but only for still images. On top of that, both phones' selfie and main cameras feature SteadyShot, which should enable users to capture blur-free videos, even while in motion. And, of course, the artistic Bokeh effect is present as well to make your images look stunning. Sound-wise, the Xperia 10 and 10 Plus embed Sony's advanced technology called LDAC, which is supposed to make music sound crystal clear even if you're listening wirelessly. Moreover, with Sony's Digital Sound Enhancement Engine, all compressed files are upscaled to near high-resolution sound quality. Now, all of the above wouldn't have been possible without a powerful chipset at its core. The Xperia 10 is equipped with a Qualcomm Snapdragon 630 SoC (system-on-chip), a decent processor specifically designed for mid-range phones. On the other hand, the Xperia X10 Plus packs a slightly more powerful Qualcomm Snapdragon 636 processor, which also has the advantage of being newer than the Snapdragon 630. One of the most important aspects when choosing the right smartphone, battery life may be a bit disappointing, at least on paper. 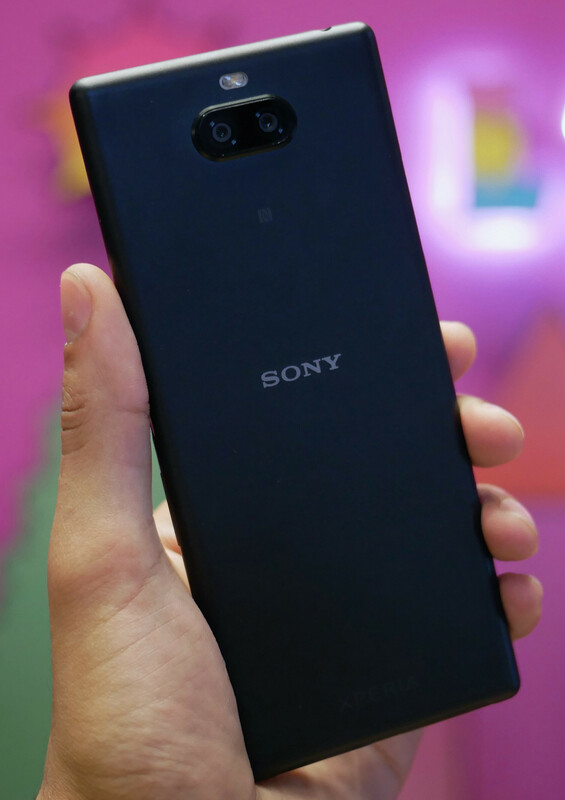 Sony confirmed the Xperia 10 is powered by a 2,870 mAh battery, while the Xperia 10 Plus packs a slightly larger 3,000 mAh battery inside. We'll to test them out and see how well they perform in real life, but judging by their specs, they may end up at the bottom of the chart (or not). Alongside its new super mid-range line, Sony revealed a brand new open-ear Bluetooth stereo headset, the SBH82D, which comes in Black, Grey, and Blue. Sony claims that the new wireless behind-the-neck earphones apply the same inner structure to Xperia Ear Duo that allows users to listen to their favorite music while being able to hear the surroundings. It's also worth mentioning that the SBH82D earphones include voice assistant functions from both Google Assistant and Apple Siri, but also hands-free talks. The earphones will be available in select markets from May 2019 for a price that will be announced closer to launch. Another accessory announced today, the Style Cover Stand is a two-in-one cover and phone stand for either the Xperia 10 or 10 Plus. There's also the Style Cover Solid, which is only available for the Xperia 10 and should help protect it from damage thanks to its military spec durability. 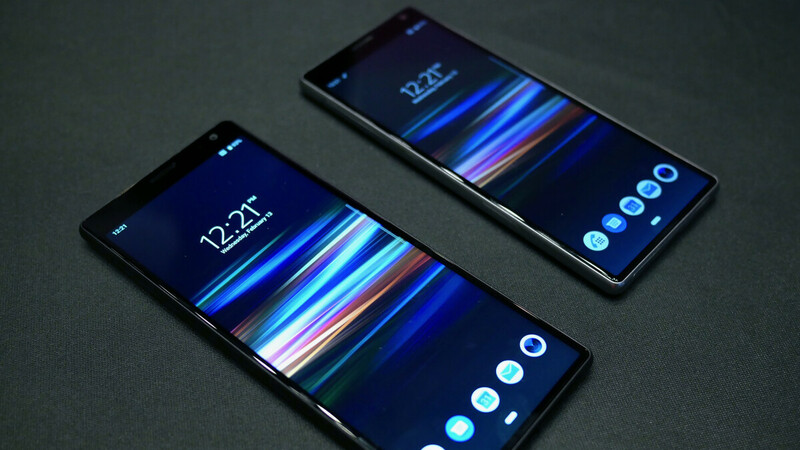 As far as the Xperia 10 and 10 Plus availability goes, they should be out on the market in Navy, Black and Silver. Also, the Xperia 10 will also be available in Pink, whereas the Xperia 10 Plus is expected to arrive in Gold as well. We know you're anxious to find out when you'll be able to purchase Sony's new mid-tier phones, but the Japanese company hasn't disclosed any information about pricing. However, we do know they will be in select markets from February 25, in both single SIM and dual SIM versions. Fail in many respects especially 10 model . Same processor as last year only 3gb ram and smaller batter. And removed 3.5 mm jack. What are they drinking up there at Sony?